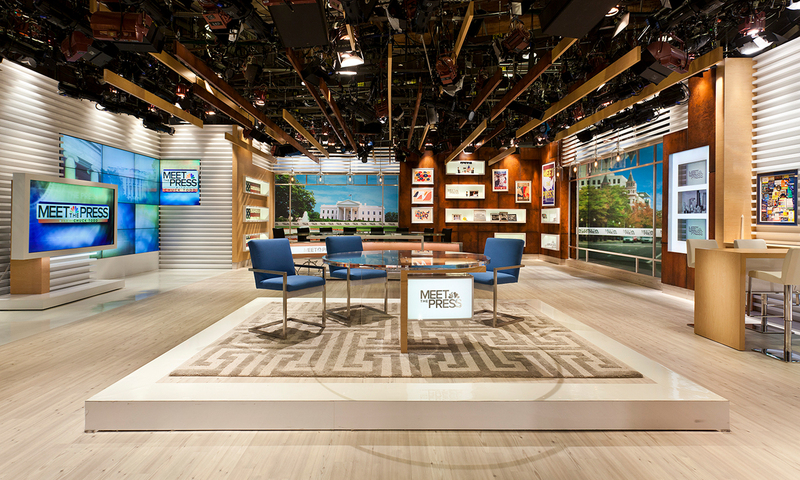 The Meet the Press studio is contemporary and casual, tailor-made for the new host, Chuck Todd. 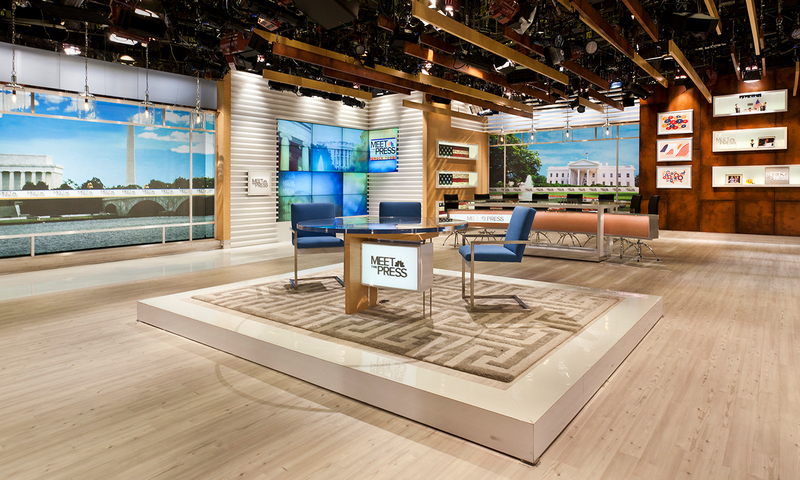 The environment reflects Todd’s on-the-ground journalistic credentials — including White House correspondent — and political expertise and encourages the free and open discussion that has made Meet the Press the longest running news program on American TV. 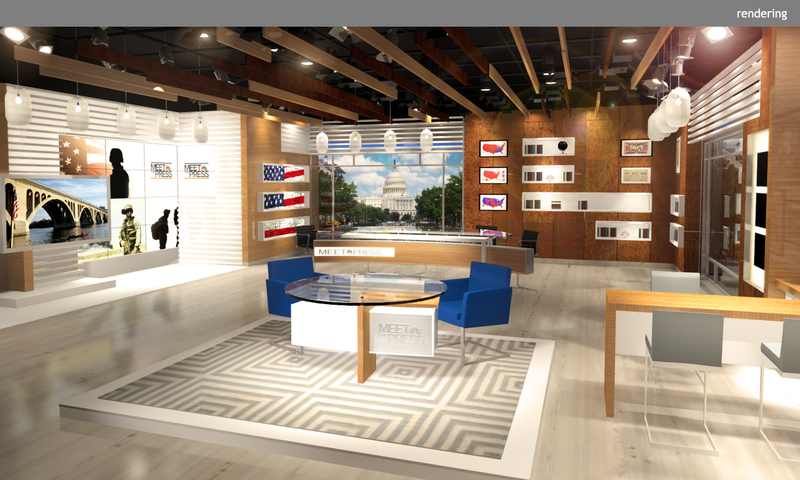 Airing early on Sunday mornings, the warm, inviting set employs a mix of wood tones from bleached oak to mahogany, strong horizontal banding, and a selection of the host’s personal mementos and artwork. 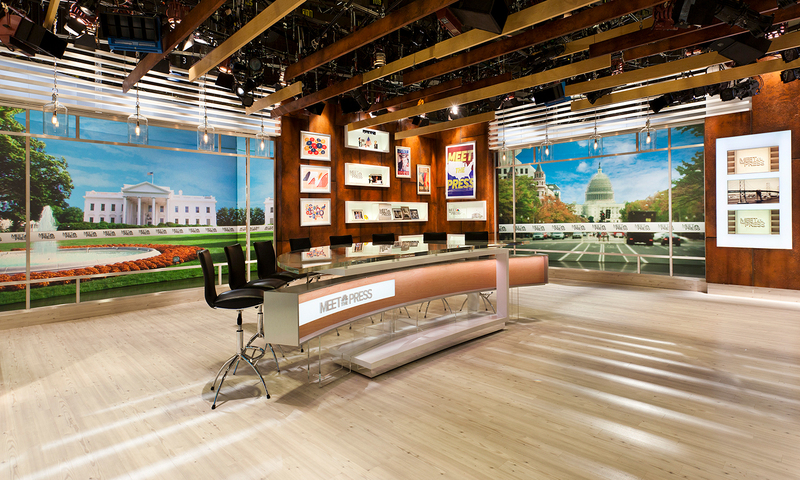 Meet the Press features two desks: a long anchor spot that accommodates five panelists and a smaller round table for more intimate discussions.